My first book, a collection of stories, is available on Amazon. Get more of the same eye-opening, heart-warming, laugh-out-loud stories you love. Please let me know if you decide to read the book with a book club or would like to host a reading among your friends - I'd love to connect. "When major life changes loom, people hunker down and cling to what they know. But not this author! As she prepares to send her youngest children to kindergarten in the fall, Kelly Chripczuk faces renewed questions about identity and vocation. Hoping to confront her questions head on – or perhaps avoid them altogether - she preemptively launches a surprising new adventure. 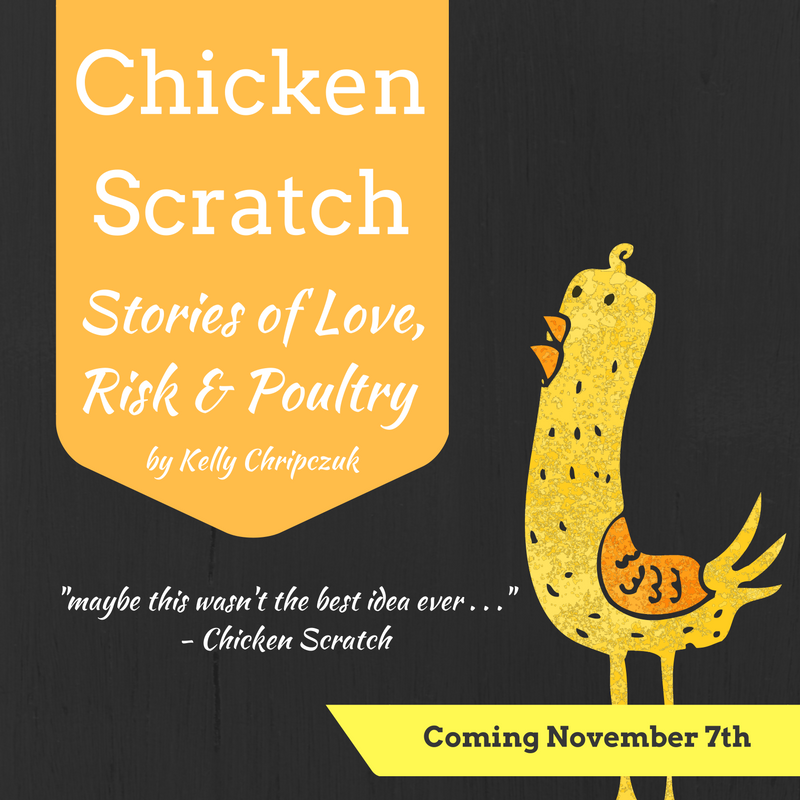 On the morning of her thirty-ninth birthday, Kelly impulsively purchases a flock of ten laying hens intending to launch a small-scale egg business. Follow this writer, spiritual director, and mother of four as she dives into the deep end of chicken farming and wrestles with the risks and rewards of living a life she loves. At turns hilarious, thoughtful, and always compassionate, Chicken Scratch will change the way you see the mess and chaos involved in living life to its fullest."